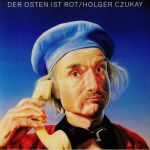 Review: Last year saw the passing of two monumental figures in rock history, legendary drummer Jaki Liebezeit and bassist Holger Czukay, the unrivalled rhythm section of influential krautrock group Can. Following Czukay's death, Gronland Records offer 'Cinema', a five LP posthumous retrospective that spans fifty years of his recording career. Numerous tributes have cited Czukay as a crucial cult figure, famed for collaborations with artists in a broad field; David Sylvian, Jah Wobble, Brian Eno and Karlheinz Stockhausen are to name but a few. This compilation covers such a broad catalogue of released and unreleased material - his most popular being from the iconic 1979 record 'Movies' - that it's essential listening for Czukay and Can lovers alike, as well as a fine introduction to the man's body of work. Released the day before what would have been Czukay's 80th birthday, 'Cinema' serves as a respectful and fascinating insight into a musician and composer who consistently and intelligently defied description. Review: The back catalogue of this mystical and mercurial German collective, numbering Messrs Moebius and Roedelius from Cluster as well as Neu's Michael Rother in their ranks. 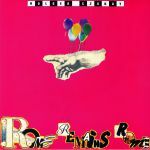 has always been frustrating only in its brevity, and with that in mind this live material from their heyday is as manna to krautrock enthusiasts - these at once meditative and exploratory voyages through inner space bear all the hallmarks that made their two studio efforts such evergreen portals to a fertile age of experimentation and inspiration, and an inspration to Eno and Bowie amongst a legion of others - Sehr kosmisch, indeed. Review: Here's something to excite fans of classic krautrock: a deluxe, boxed retrospective containing the early solo material of Harmonia and NEU! co-founder Michael Rother. The LPs are largely arranged in chronological order, with 1977 solo debut "Flammende Herzen" - a fine collection of breezy, arty, stretched-out krautrock instrumentals, being immediately followed by 1978's more synthesizer-heavy and prog rock influenced "Sterntaler". The next two chronicle his 1979 and '82 fusions of krautrock and Berlin School ambient, while the fifth gathers together the prolific German artist's work for the soundtracks of obscure movies "The Robbers" and "Houston" before closing out with his live/remix works. Review: Here's something to excite fans of classic krautrock: a deluxe, boxed retrospective containing the early solo material of Harmonia and NEU! co-founder Michael Rother. The discs are largely arranged in chronological order, with 1977 solo debut "Flammende Herzen" - a fine collection of breezy, arty, stretched-out krautrock instrumentals, being immediately followed by 1978's more synthesizer-heavy and prog rock influenced "Sterntaler". The next two discs chronicle his 1979 and '82 fusions of krautrock and Berlin School ambient, while the final disc gathers together the prolific German artist's work for the soundtracks of obscure movies "The Robbers" and "Houston".